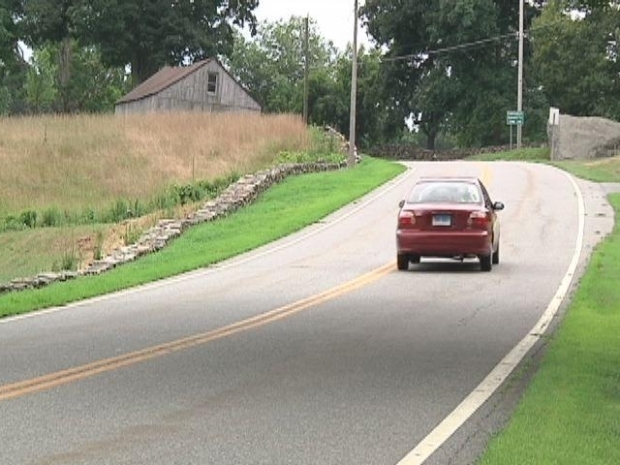 If you're looking for a laid-back weekend, how about a drive through Eastern Connecticut on scenic Route 169. Lauren Petty shows you some of the amazing sights you'll see in places like Canterbury, Pomfret and Woodstock. The luck of the Irish invades Glastonbury this weekend for the 26th Annual Greater Hartford Irish Music Festival. In addition to the Irish entertainers; which includes bands like Celtic Cross, Finn's Fury, Black 47 and Barleyjuice; there will be bread-baking, story-telling, carnival rides and dancing. The largest Irish music festival in New England begins tonight at 6 p.m. and runs through Sunday. Southington celebrates all things Italian with the 6th Annual Italian-American Festival. It kicks off today at 5 p.m. and runs through Sunday at the lower end of Center Street downtown. More than 20 vendors are expected and there will also be a carnival and entertainment. Saturday, there's wine-tasting for adults and Sunday at 10:30 a.m. mass will be celebrated in Italian. Admission is free and the event is sponsored by the UNICO Club, the Sons of Italy and the Southington Chamber of Commerce. Internationally renowned Latin jazz and salsa artists take the stage in Hartford for the Ray Gonzalez Latin Jazz and Salsa Festival. It's Saturday from 3 p.m.- 10 p.m. at the Mortensen Riverfront Plaza. The event features music by Peruvian pianist Torres "Jazzy" Rumba and Ray Gonzalez will conduct a 22-piece big band paying homage to Catalino "Trite Curet." Admission is free. Mark Twain isn't buried in Hartford's Cedar Hill Cemetery, but many of friends and foes are. Saturday, you can learn more about their connection to the famous writer. The Mark Twain House and Museum is leading a walking tour focused on Samuel Clemens' pals. The walk starts at 10 a.m. and takes about an hour and a half. It costs $5 per person. For more ideas on what to do This Weekend, check out What You're Doing Tonight.